After several unverified rumors about launch dates and pricing, Motorola Verizon Wireless finally set the record straight earlier today. In a joint press announcement, the companies announced that the Xoom will hit stores on February 24th for a $599.99 with a new two-year contract. An unsubsidized version will also retail for $799.99. Unfortunately, Motorola did not officially announce any availability or pricing details about a WiFi-only model. Monthly subscriptions for 3G data will start at $20 for a mere 1 GB of data. Although Motorola announced 4G LTE support at their press conference at CES 2011 earlier this year, it will not be available until the second quarter of 2011. According to a representative we spoke with, all existing units are entirely upgradable. 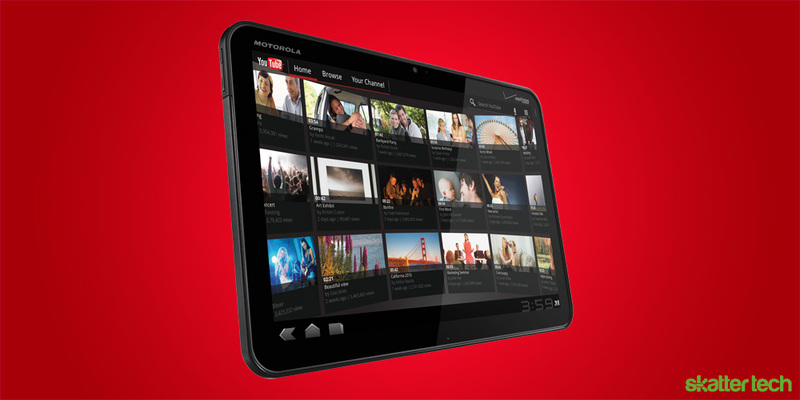 Customers can walk into a Verizon Wireless store to have their Motorola Xoom tablet outfitted with a 4G module. While the news might be exciting, Verizon Wireless unfortunately failed to provide any details regarding monthly pricing for their new LTE network. After the launch of the Samsung Galaxy Tab 10 at Mobile World Congress 2011, the competition is starting to get heated. I can not wait to put these tablets to the test and I will definitely get our hands on a Xoom later this week, so stay tuned for a full in-depth review. For those looking for detailed specs and comparisons, we stacked the Motorola Xoom up against the latest generation of tablets including the BlackBerry PlayBook and Dell Streak 7 in our massive tablet infographic. Update 2/24/2010: It turns out early adopters will need to mail their Xoom tablet to Motorola for upgrade. It will take six days. It does not look as though Verizon Wireless stores can handle the hardware upgrades for customers on the spot.